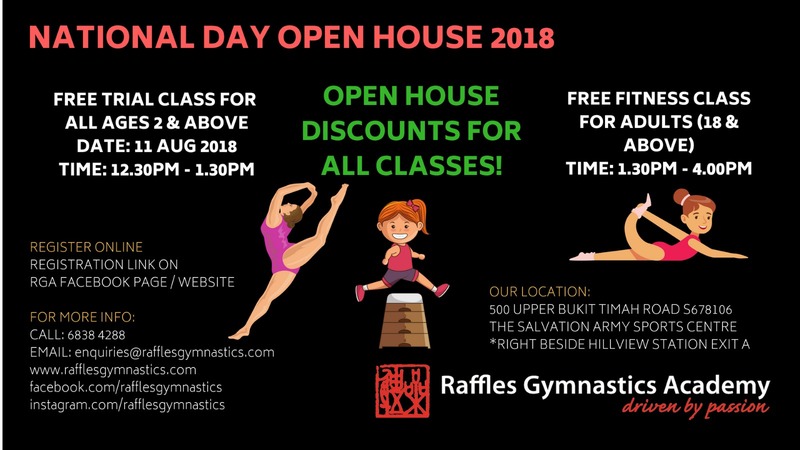 Welcome to Raffles Gymnastics Academy’s National Day Open House 2018! For ages 2 and above – adults are welcome! Attire: Sports or fitness attire. No footwear is needed. Our Fitness & Wellness Division is pleased to introduce our signature Fitness-for-Life classes. There will be 5 different fitness classes of 30 mins each offered on the day itself.